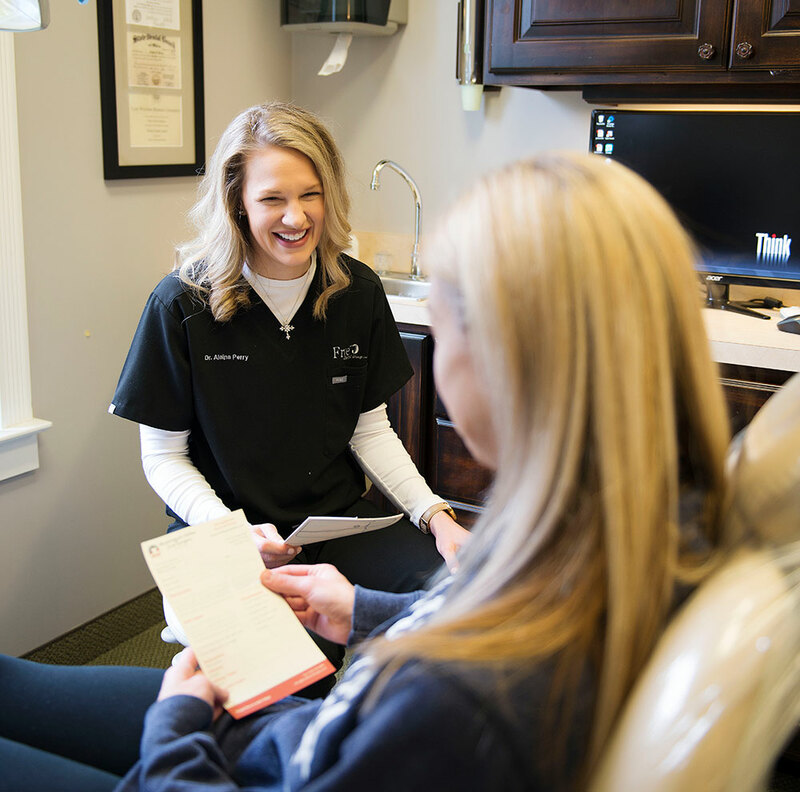 We ask that our patients have a comprehensive dental and periodontal examination regularly, which includes a thorough examination of your teeth and gums. We use the findings from our examination to formulate a complete diagnosis and comprehensive treatment plan for you. Recommendations for treatment are explained at a consultation time set aside specifically for you. The consultation may take place at the initial appointment or may be scheduled as a separate appointment at your dentist’s request. Our goal is to ensure that you receive the best possible information concerning your treatment options. Our time investment in patient education enables us to render the best possible outcome for your dental treatment and health. Schedule an appointment by calling our friendly staff at 740.374.0123 or sending us a message. Complete New Patient forms. Download here. Prepare a list of any questions you have for us. If you have insurance, please bring both your medical insurance card and your dental insurance card. If you cannot keep a scheduled appointment or will be delayed, please call us as soon as possible. Payment Options: Financial options are discussed during the initial phone call and with each visit. Our dentists and his staff are committed to providing excellent dental care and will guide patients in choosing the best payment option for their individual needs. We accept cash, check, Discover, Visa, and MasterCard, and Care Credit (a dental credit card). Dental Insurance: We are Participating Providers for the following Insurance plans: Delta Dental, DenteMax, CIGNA Discount Plan, DHA Sunlife, Guardian, MetLife, Principle Life, and United Concordia. Your insurance is a contract between your employer and a dental insurance company. Benefits received are based on the terms of the contract negotiated between your employer and the dental insurance company, and not your dental office. 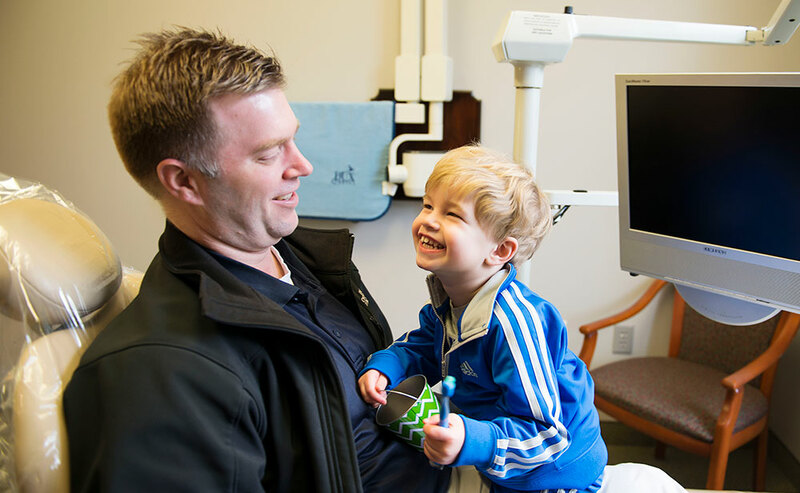 The goal of most dental insurance policies is to provide only basic care for specific dental services. The benefits that you receive from the dental insurance company for your current insurance plan have nothing to do with your needs or achieving a high-quality result. Many services may not be covered. Our office will do everything possible to help you understand and make the most of your dental insurance benefits. As a courtesy, our office will complete and submit your insurance forms to assist you in receiving the most from your benefits. Please remember that you are ultimately responsible for all expenses incurred. We urge you to read the policy so that you are fully aware of coverage and any limitations of the benefits provided. 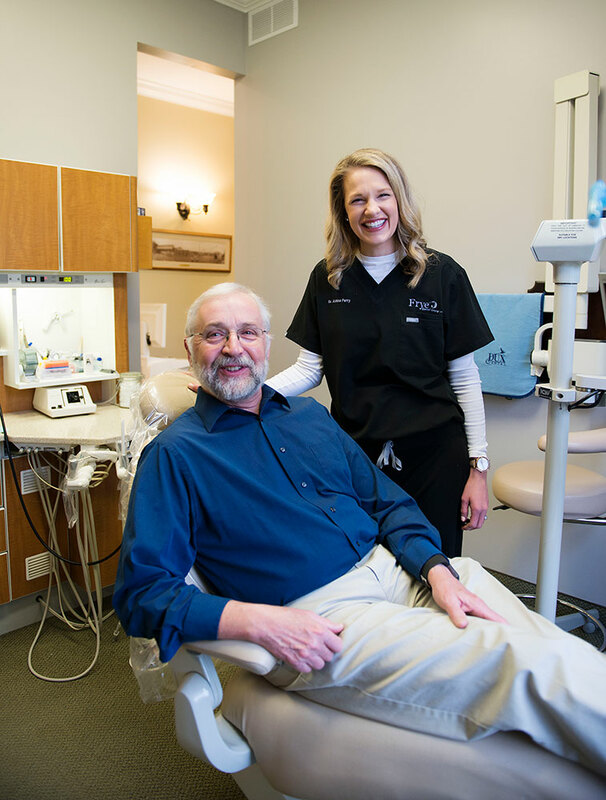 Ask us about our in-office dental program!